had enough Shin Getters (I already had the Kaiyodo and Romando versions). 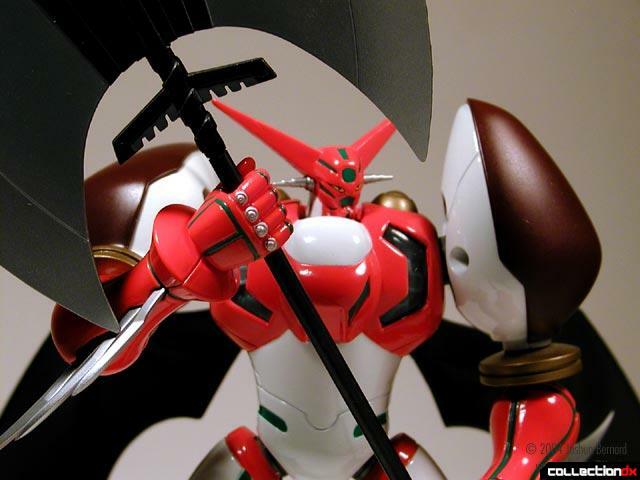 the best toys of 2000. 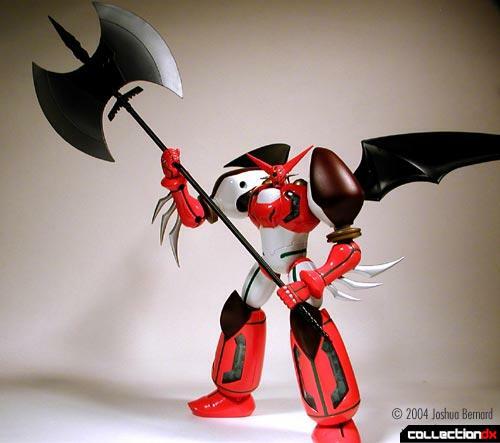 It is both toy and art. better than Bandai's SOC line. are sharp, and spring out when you press a lever on his back. 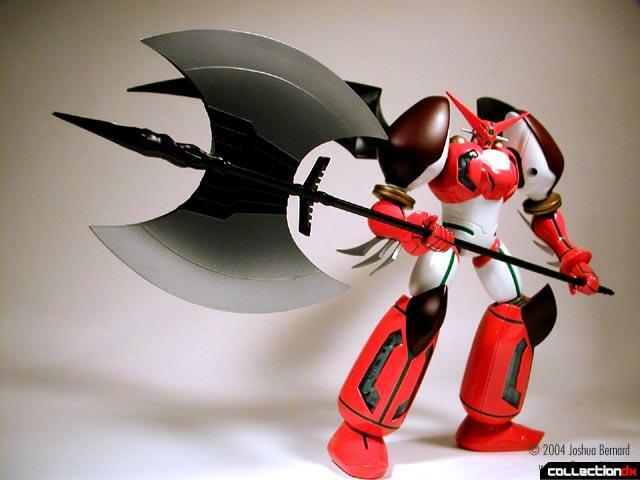 though, it can become challenging to find a good pose to hold the weapon. 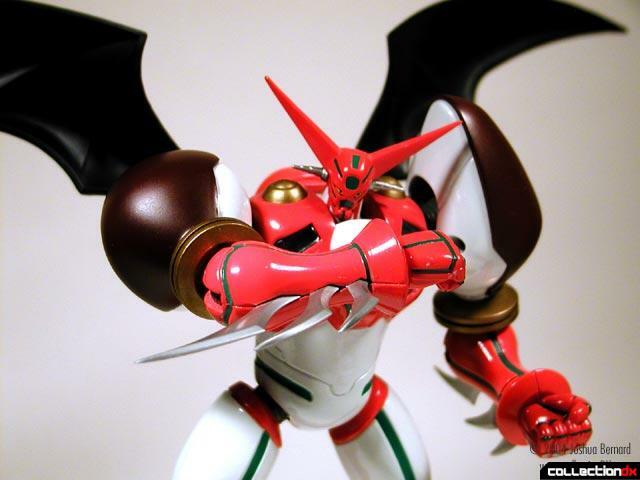 it's amazing how one company can succeed in making what I could consider the perfect Getter Robo figure. 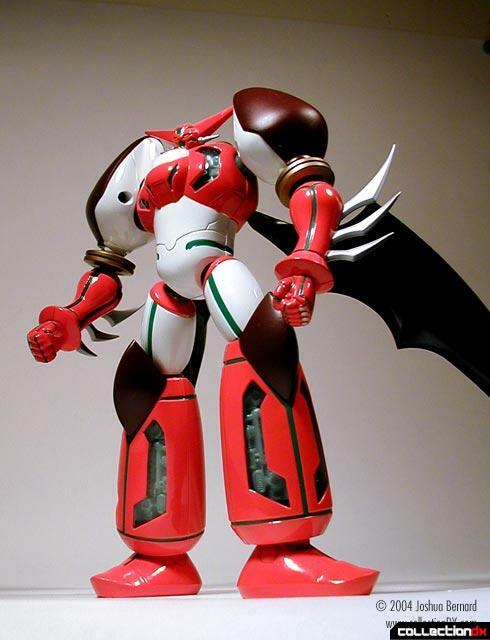 The Molding is amazing, the paint apps nearly perfect, the variations available to have your own getter in your own way, and the Proportions, Dear God the Proportions! 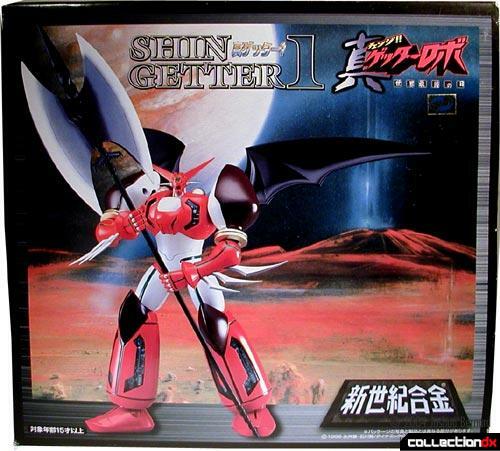 This figure portrays Shin Getter as a Muscular, yet not chunky machine, which I think is the perfect motif for Shin Getter 1. 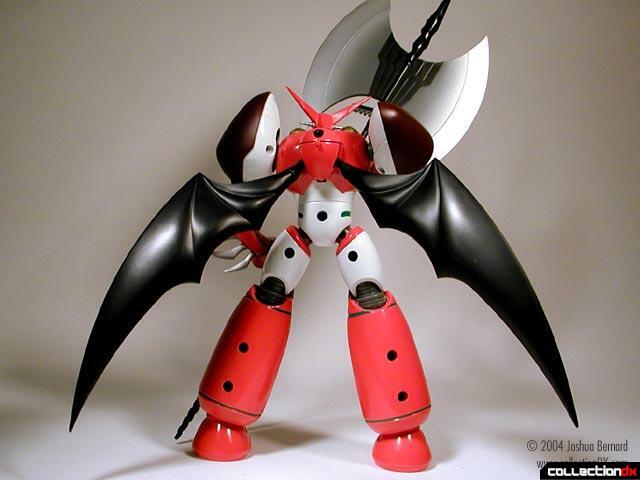 The Paint is perfect and comes in many flavors (This one, All Red and White, Whitechest, Black, Metallic), and even has variations on the Wings and Weapons!